Home /We are a menopause friendly workplace: Should bosses help with hot flushes? We are a menopause friendly workplace: Should bosses help with hot flushes? Sonja Montague Mackay was standing in front of a classroom full of students about to start a lesson when it happened. “It was like someone lit a match at my feet,” she said. “I could feel this wildfire spread through my body. At the age of 46, Ms Montague Mackay was having a hot flush — one of the first signs she was about to enter menopause. While many people know hot flushes can signify menopause, it’s less well-known that there are 34 different symptoms women can experience in the years before and after their periods stop. For some, the symptoms are mild, but for others it can be a maze of night sweats, itching skin, leg cramps, needing to urinate, nausea, abdominal pain, acne, brain fog, fatigue, depression and anxiety. Ms Montague Mackay has decided to speak publicly about her experience to help break the stigma and taboos around the phase. “I knew very little about menopause before,” she said. For Ms Montague Mackay, the most surprising element of entering peri-menopause — the phase before menstruation finishes — has been the mental symptoms like anxiety and depression. “I basically had to cancel my diary for an entire week because I just couldn’t stand being in front of people,” she said. “Also the brain fog, lack of concentration, poor memory. Experiences like Ms Montague Mackay’s are at the heart of a growing push to have employers help female employees negotiate this time of their life, just as they might during pregnancy. Academics have come up with practical things workplaces can provide to help. 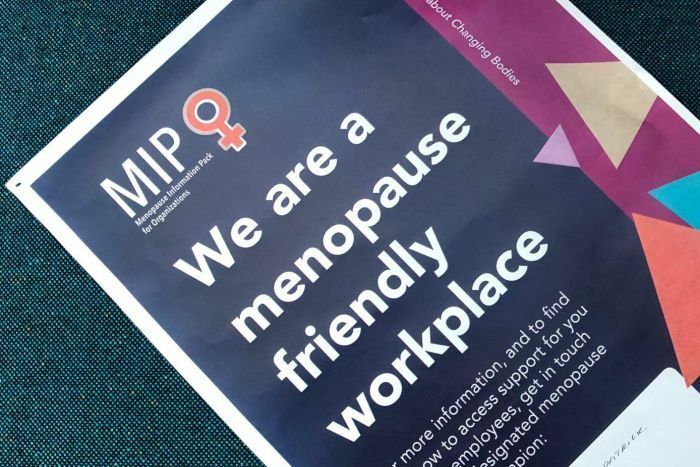 The ideas are detailed in a new Monash University resource to help more workplaces become menopause friendly. Professor Kat Riach said it made economic sense, with some studies suggesting between 40 and 75 per cent of women said they felt menopause affected their productivity. While some women can control their symptoms with hormonal medications, for others that is not always an option. Academics at the Monash Business School estimated there were 1.3 million Australian women between the ages of 45 and 55 who worked in the health and education sectors alone and one in four were likely to experience significant menopausal symptoms. “That’s a significant number of women experiencing menopause in the workplace,” Professor Riach said. Her team spoke to more than 2,000 older women over five years about their experiences of menopause at work. “What we really found is a lot of the mechanisms that supported women already existed in organisations,” Professor Riach said. Advocates said the symptoms of menopause should not deter potential employers, with women in the demographic proving to be highly effective employees. “This is a real cohort of women who are ready to go in terms of their work,” Professor Riach said. Professor Riach said such women also came to the workplace with added skills and resilience, but sometimes left jobs because they were not being supported properly or were being overlooked. “Organisations aren’t actually looking to them to be in that next pool of talent,” she said. Ms Montague Mackay has successfully spent her time in early menopause setting up her own small business after years in the government sector. She said women in her age group had a great deal to offer. “They come with a wealth of experience, and a wealth of talent, and a wealth of knowledge,” Ms Montague Mackay said. Professor Riach said her team had already seen a “swathe of interest” from large companies about the resource. Ms Montague Mackay spoke about her experiences at a special forum on women’s health at work in Melbourne. It was organised by Naomi Seddon — a partner in global employment firm Littler. She organised the event after going through endometriosis, IVF, child loss and surrogacy all while building her legal career. Women in the workplace. Did you know? “I didn’t talk about it and I think in my doing that I did a disservice to other women. Not everybody has the same ability to push through that I did,” she said. Within one day of posting the event she had more than 20,000 hits and requests from women across the globe to hold similar events in their city. “I’ve never seen anything before that really focused on real life issues that impact all women. Things like menopause, fertility issues, child loss,” she said. Ms Seddon has represented US clients which have started offering to cover the cost of their employees’ IVF, nannies and even transgender reassignment surgery. 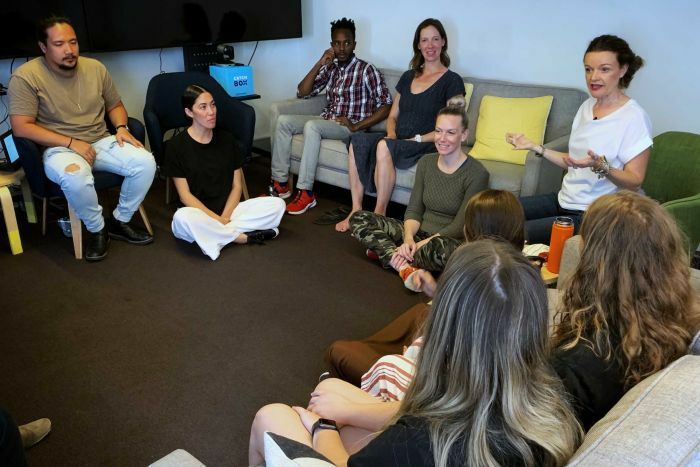 “It’s not just because they want to keep them, I think employers are recognising that wellness is directly related to productivity,” she said. “Companies around the world are starting to recognise that the market for talent in certain areas is just getting tougher and they need to stay competitive.